The magisterial inquiry report on the Sweepers’ Lane issue and the subsequent violent incidents has been submitted to the Meghalaya Government. East Khasi Hills Deputy Commissioner P S Dkhar said on Tuesday that the magistrate submitted the report to him and the same was forwarded to the Government. The Deputy Commissioner said that now it is up to the government to look into the matter and a high level committee will take the final course of action. 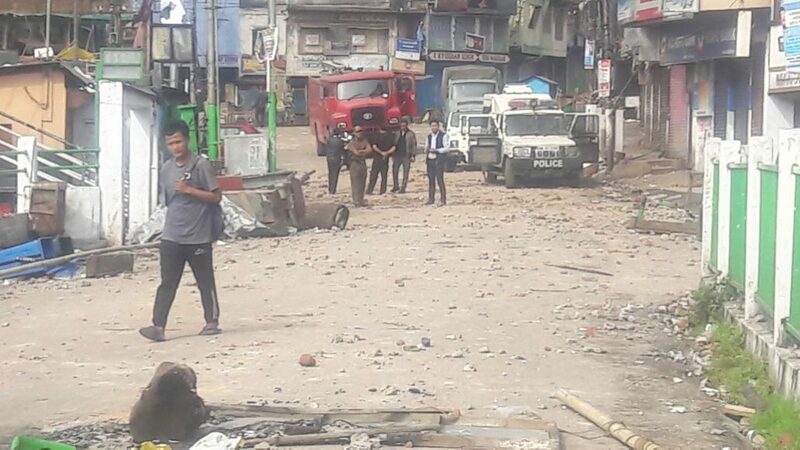 The magisterial inquiry was headed by I Majaw to probe the incident at Sweepers’ Lane in Shillong and identify rumour mongers inciting violence. In addition to the magisterial probe, police are carrying out a separate probe into the incident. Besides, the commission for minorities and National Human Rights Commission are also dealing with the matter.